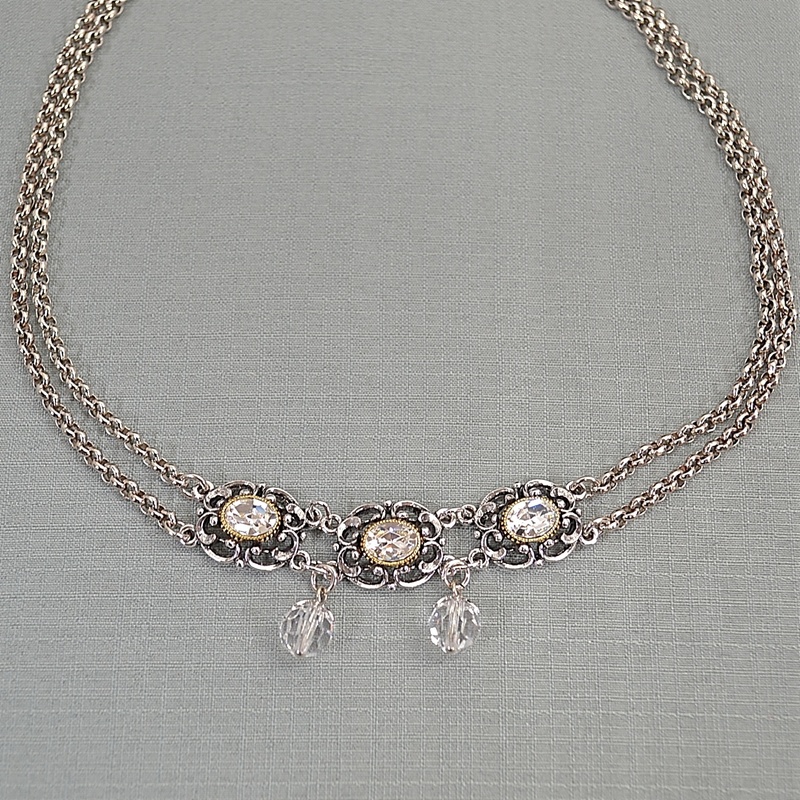 Two tiered necklace, featuring 3 stones surrounded by a filigree design with 2 dangling stones. Silver ornate edelweiss charms on fish hook earrings. 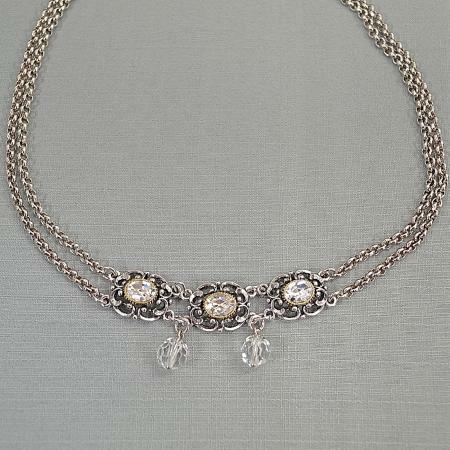 Authentic pewter colored edelweiss heart bracelet. Silver ornate edelweiss clip earrings. Silver apron clip with dancing couple design. Approximately 3 inches in length. Imported from Germany.